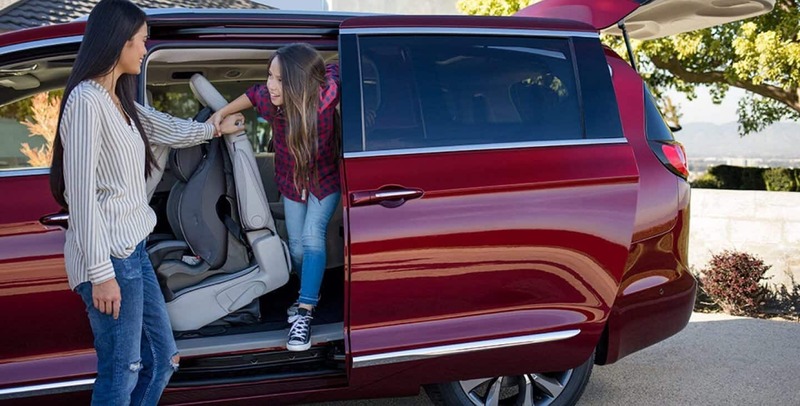 People and critics love the Pacifica; for the third year in a row, the Pacifica is the most awarded minivan on the market thanks to its advanced technology and great family friendly versatility. 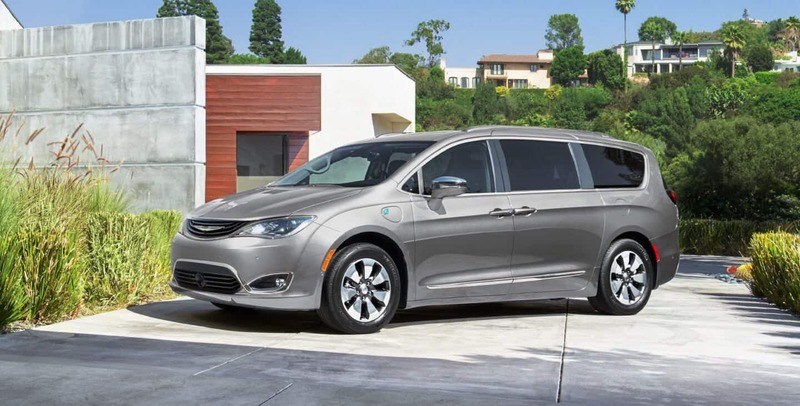 There's also the Hybrid models, providing the most modern family transporter available in the minivan segment. 2019 is looking to provide another great year to shoppers across America. 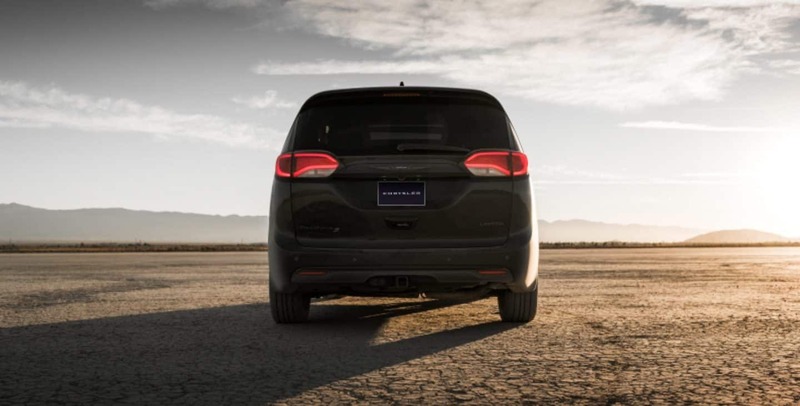 Explore below to discover some selections off the long list of features that come in the 2019 Chrysler Pacifica. How does the Pacifica interior accommodate my family? One shops for a minivan for its amazing comfort and space, and the Pacifica comes with both in abundance. The three rows of seating can be arranged to accommodate a maximum of seven or eight people, based upon whether you opt for two second-row captain's chairs or a three-seater bench seat. 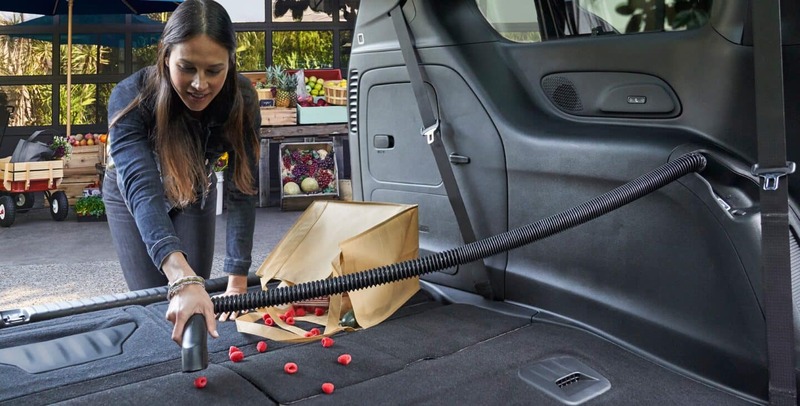 Either or, you have access to Chrysler's fantastic and easy Stow 'n Go technology, storing away the second- and third-rows down into the floor. This versatility gives you up to 243 seating/cargo arrangements, shifting around the 141 cubic feet of interior spaciousness for whatever purpose you need. Should you need all three rows, the trunk space comes with a standard 32 cubic feet. You can be assured the days of climbing over the second-row to access the rearmost seats is a thing of the past; the one-hand Easy Tilt system rocks the second-row forward to give ample space to climb behind. The Pacifica is a first generation vehicle, being released just in 2017, so you know the latest and greatest technologies are equipped within the Pacifica. The standard features include dual-zone automatic climate control, comprehensive and sleek dash button designs, pushbutton start, and a 7- or 8.4-inch radio multimedia touchscreen. 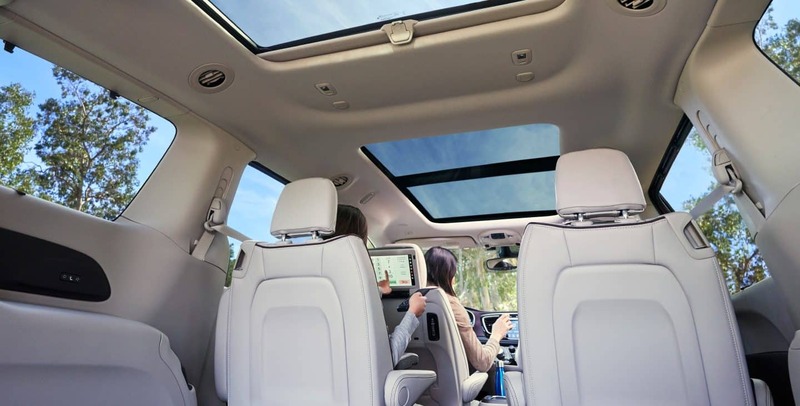 This system employs all of the modern conveniences you need to entertain yourself and your passengers throughout your journeys, from smartphone integration, to Bluetooth, to Uconnect apps and voice recognition. All can be additionally commanded via the steering wheel hands-free buttons, keeping you focused on the road. For your rear occupants, there's the available dual 9-inch flip screens entertainment system, complete with Bluetooth of their own, audio connections, USB ports, and an HDMI port. What efficiency does the Pacifica's powertrain deliver? There's choice of either the gas powered or Hybrid Pacifica models, giving you a broad mileage range and efficiency to choose from. Both begin with the 3.6-liter six-cylinder Pentastar engine, giving you a strong 262 lb-ft of torque and 287 horsepower. The automatic nine-speed transmission uses this power smoothly and responsively, giving either Pacifica powertrains an oomph that's unlike minivans of the past. There's definitely no struggle to stay at highway cruising speeds or drive up inclines, and in fact, every Pacifica comes with a 3,600-pound tow rating. When just gas, this engine supplies you with 28 mpg highway, but you can choose to get the Pacifica Hybrid and enhance your fuel economy up to 84 MPGe! That's a lengthy 520 miles between fill ups for your convenience and savings. How does the Pacifica keep my family safe? 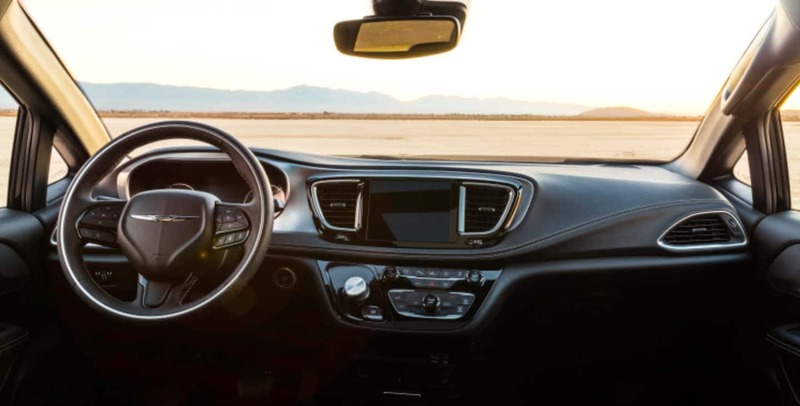 Protecting what is most precious to you, the 2019 Chrysler Pacifica has available 360-degree driver autonomous assistance to improve your safety and awareness throughout your drive. Everything from full speed forward collision warning with active brake mitigation, adaptive cruise control, blind spot monitoring, to parallel and perpendicular automatic parking and a surrounding bird's eye view camera with dynamic gridlines to show you the future trajectory of your vehicle. Other standard safety features include electronic stability control, brake assist, and hill start assist to give you superior handling on the road. 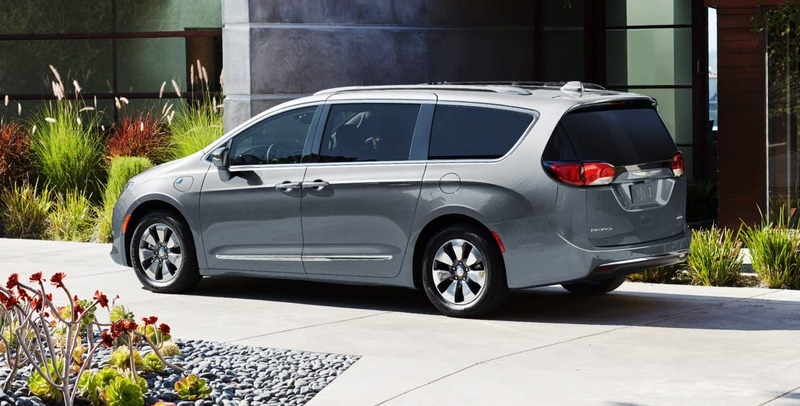 Superior comfort, efficiency, and power comes amply should you opt for a 2019 Chrysler Pacifica for your next family vehicle. Its systems are some of the most modern in the class offered on the market today, and its hauling capabilities are top tier. 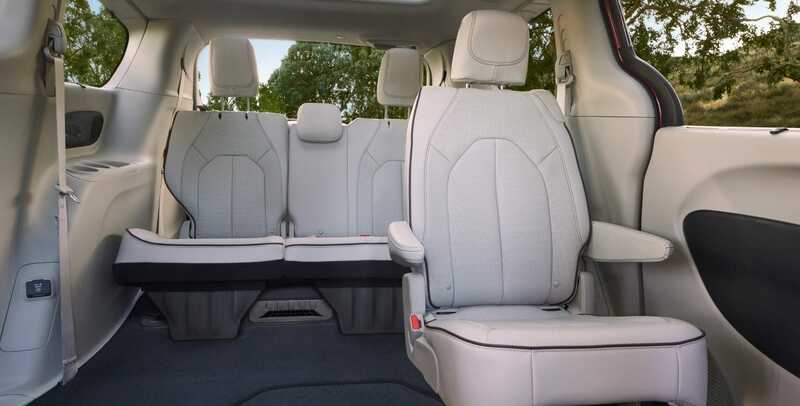 Each and every one of your passengers will be satisfied with the ease and lifelong coziness the cabin space offers, along with the great entertainment supplied by the driver's multimedia display or the optional rear-seat touchscreens. 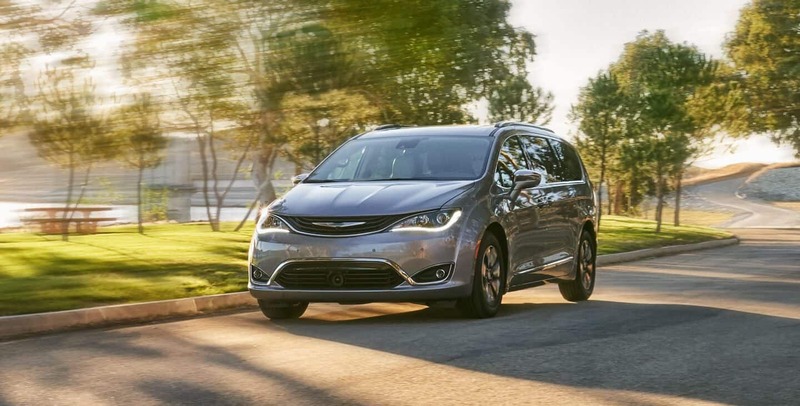 Find out more about the Pacifica by stopping by any business hour to explore the trims and additional features these great minivans have to offer.